5x7 poster of Theodore Roosevelt quote with art by Raphaella Vaisseau. 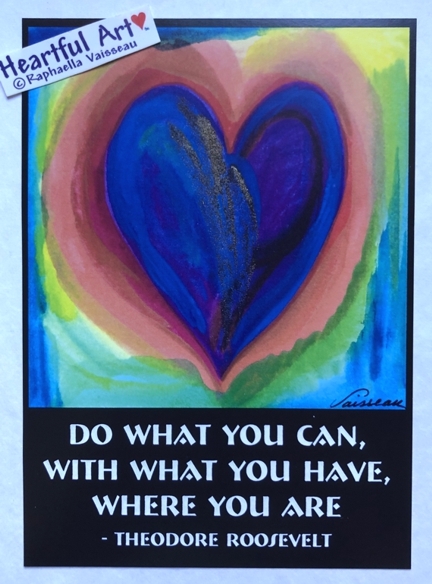 These motivating words bring in the quality of acceptance as well as perseverance, and encourage students and seekers to take action right now with whatever talents and resources available. Don't wait. Do what you can. Act, do, believe, create, envision, explore. Use your talents. Share. Be.